For Venezuela, the End Is Near. Someone Tell Bernie! 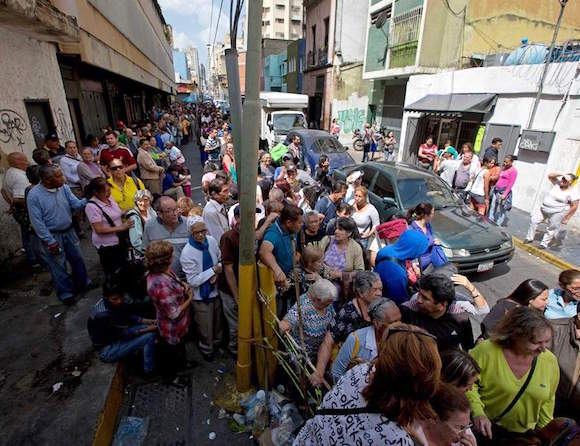 The year 2015 was an annus horribilis in Venezuela with a 10 per cent decline in gross domestic product, following a 4 per cent fall in 2014. Inflation reached over 200 per cent. The fiscal deficit ballooned to 20 per cent of GDP, funded mainly by the printing press. In the free market, the bolivar has lost 92 per cent of its value in the past 24 months, with the dollar costing 150 times the official rate: the largest exchange rate differential ever registered. Shortages and long queues in the shops have made daily life very difficult. That’s putting it mildly. Imagine there’s no toilet paper, as John Lennon once sang. Or should have, anyway. As bad as these numbers are, 2016 looks dramatically worse. Imports, which had already been compressed by 20 per cent in 2015 to $37bn, would have to fall by over 40 per cent, even if the country stopped servicing its debt. President Maduro’s socialist government apparently has no strategy to deal with the impending catastrophe. It shapes up as one of the most appalling economic and fiscal collapses in world history. So Chavez’s and Maduro’s blaming of “wreckers” and “saboteurs,” even as they themselves destroyed their country’s economy, did no good whatsoever. Bernie Sanders’s railing against Wall Street would be equally effective. Could someone please mention to Bernie that socialism has been tried? Many times? Maybe one of those “reporter” people I’ve heard of could ask him about it.